Marshall Pet Products is the most established and respected source of baby ferrets, ferret supplies and premium ferret nutrition worldwide. Gluten Free. Grain Free. Excellent source of Omega 3 & 6 to nourish skin and coat. . .
• Excellent For All Life Stages. 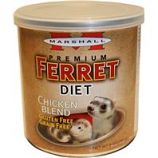 • A Great Diet For Your Ferret Who Might Be Over 4 Years Old. • Keep In Mind Ferrets Are Strict Carnivores and Require High Amounts Of Meat Protein (Non-Plant Based Protein). Made with fresh whole animal protein to provide essential nutrition that every ferret wants.. All natural source of omega 3. Made in the usa. . .
• Great For Mulitple Ferrets. • 20 Inches Long By 20 Inches Wide. Delicious high protein low sugar treat for healthy snacking. . . . .
• No Artificial Colors Or Flavors Or Added Sugar. 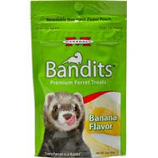 • Eliminates Ferret Odors Including Glandular Secretions, Urine, Feces, Vomit and General Body Odors. • Safe To Be Sprayed Directly On Ferrets, Accidents, Litter Pan, Cage Or Anywhere There S A Ferret Related Odor. • Effects Are Quick and Permanent. • 17 Inches Wide By 8 Inches High. 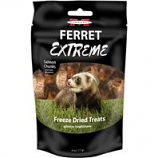 Made with fresh whole animal protein to provide essential nutrition that every ferret wants. Grain free and gluten free. Made in the usa. . .
• Deodorizes Ferrets Stool, Urine and Body Odors Internally. • Simply Add To Your Ferret S Food Or Water Daily. • A Must Have For Those Who Are Sensitive To Waste Odors. • Peters Grass Play Ball Is Made Of Natural Woven Grass and Is Safe To Chew. • It Will Provide Hours Of Fun For Your Small Animal Or Rabbit. • No Petrolatum Or Mineral Oil. • The Peter S Natural Woven Grass Mats Are For Rabbit and Most Small Animal Homes. • It Protects Sensitive Paws From Wire Bottomed Cages and Is Safe To Chew. • Marshalls Play Pen Floor Mat Is Ideal For Use With Play Pens Inside Or Outside Of Home. • Machine Washable and Can Be Air Dried. • Can Also Be Used As A Cover To Protect Your Pet From The Sun. • Internal Waste & Urine Deodorizer For Rabbits, Guinea Pigs & Small Animals. • Deodorizes Your Pets Stool, Urine and Body Odors Internally By Simply Adding To Your Pets Water Daily. • Use This Product For An Odor Free Pet. • The# 1 Ferret Harness and Lead Combo Available To Ferrets Owners Nationwide. • Fully Adjustable To Fit All Size Ferrets. • 8 Lead To Complete Outfit. • Your Ferret Will Not Slip Out Of This Set. • The# 1 Ferret Harness and Lead Combo Available To Ferret Owners Nationwide. • 8 Matching Lead To Complete Outfit. • Specifically Designed For The Anatomy Of Ferrets. • Marshall Original Ferret Shampoo With Baking Soda Is Especially Ph Balanced For Ferrets With The Gentlest Natural Cleaning System Available. • Helps Control Odor and Enhances Skin and Coat. • Gently Cleans Without Stripping Essential Body Oils. • Innovative Screw Mechanism Easily Secures Pan To Cage and Unscrews For Easy Cleaning. • Pet-Friendly Low Front Entrance With High Back To Eliminate Messy Spills. • Fits Almost Any Cage. • Helps Prevent Urinary Tract Infections, Safe and Effective. • Ultimate Accessory For Inside Or Outside Of Pet S Cage. • Great For Multiple Pets. • Interactive Toy For Pets and Owners. • Made Of Soft Fleece and Is Equipped With 11 Holes Placed Around The Head and Tunnels Provides A Cozy Resting Place. 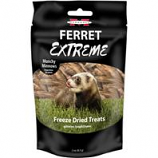 • Ferrets Love The Taste So It Can Be Used As A Daily Treat.